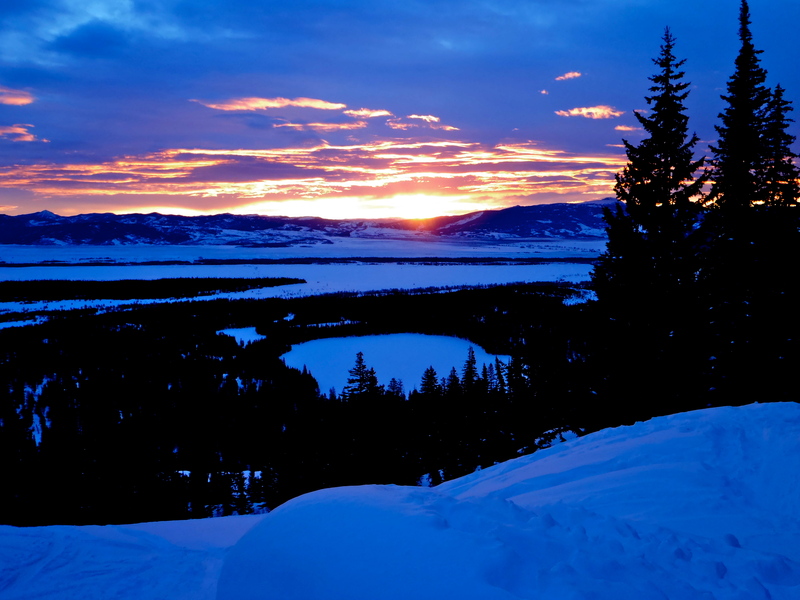 Becca and I drove to Jackson, WY on Friday night for another weekend of skiing in the Tetons and hanging out with our friends Aaron and Simon. After a short 8 hour drive, we arrived at Aaron’s apartment at 2AM Saturday morning and quickly unpacked and grabbed some shut-eye before taking a lap or two on the pass the next day. 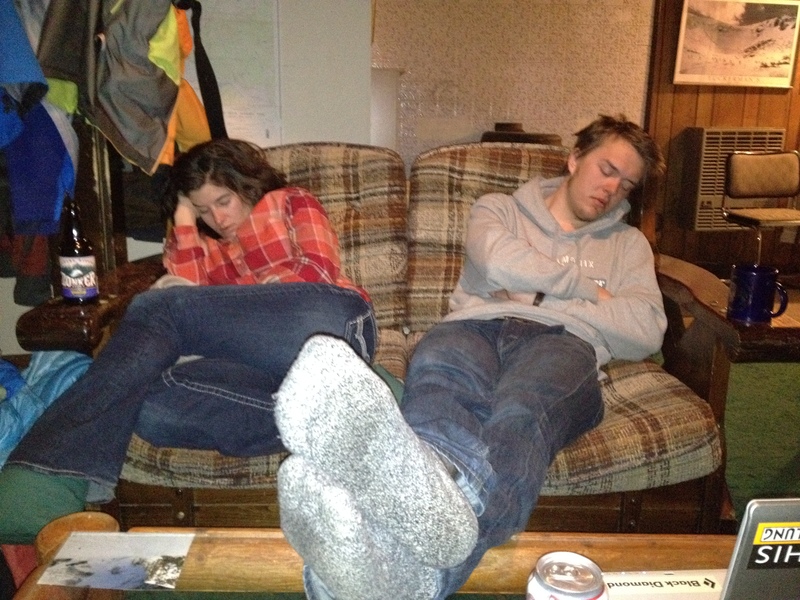 The plan was to take it easy on Saturday before our big day in Grand Teton National Park (GTNP) on Sunday. 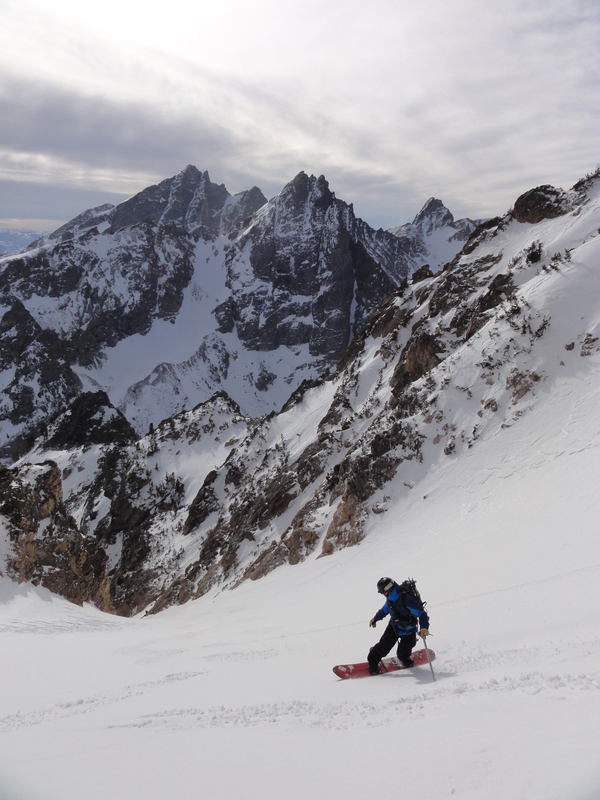 I first laid eyes on this line back in March on my second trip to Jackson when Aaron took Becca and I on a tour up 25-Short to ski Chute the Moon off Buck Mountain. 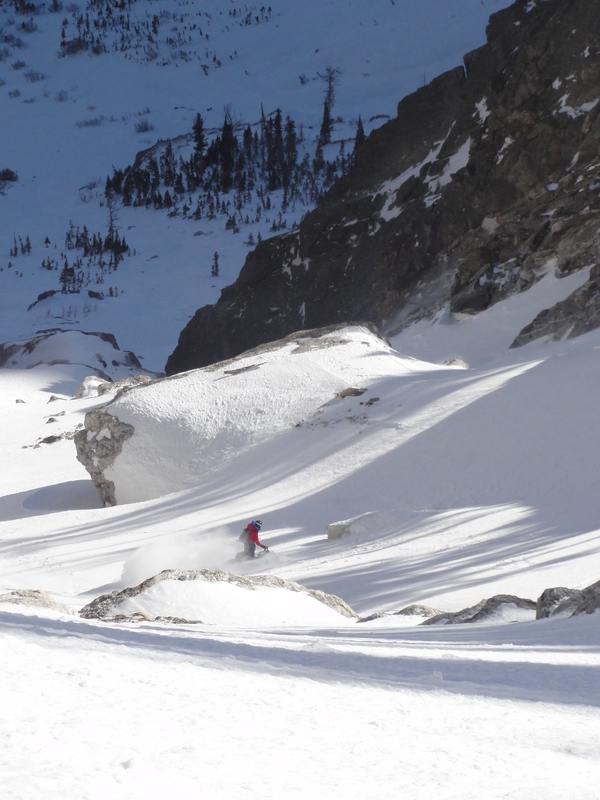 We were planning on attempting it later that week, but avalanche conditions worsened, making us put this one on hold until now. By 7AM, we were across the lake eating another breakfast with the sun slowly rising to the east. 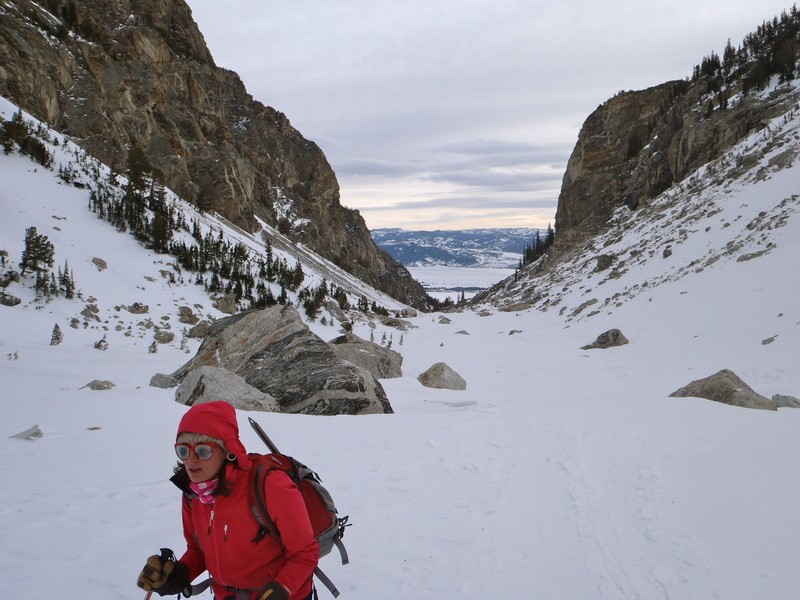 As we gained the headwall into Garnet Canyon, the sunrise only got better. This was Becca and I’s first trip into Garnet Canyon and the views were nothing short of amazing. 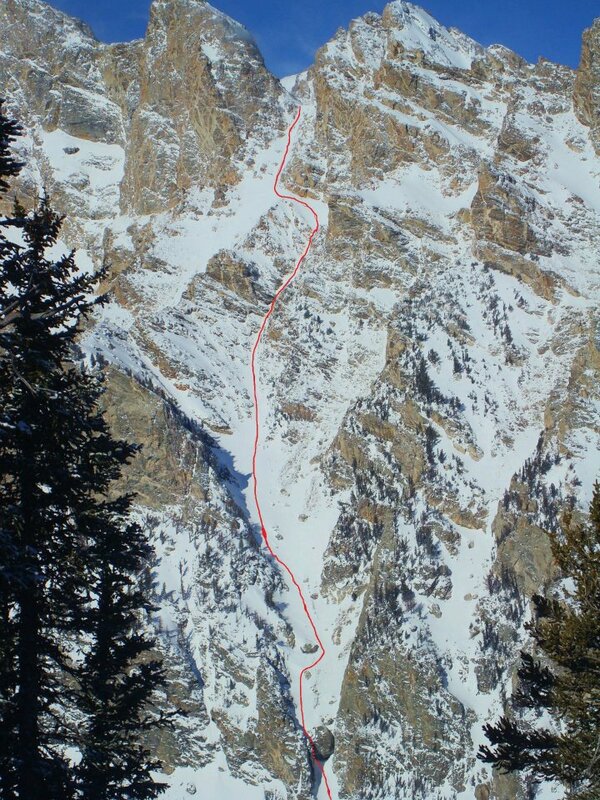 We skinned thru the trees until the Middle Teton greeted us in the Meadows, where the canyon splits into the North and South Forks. 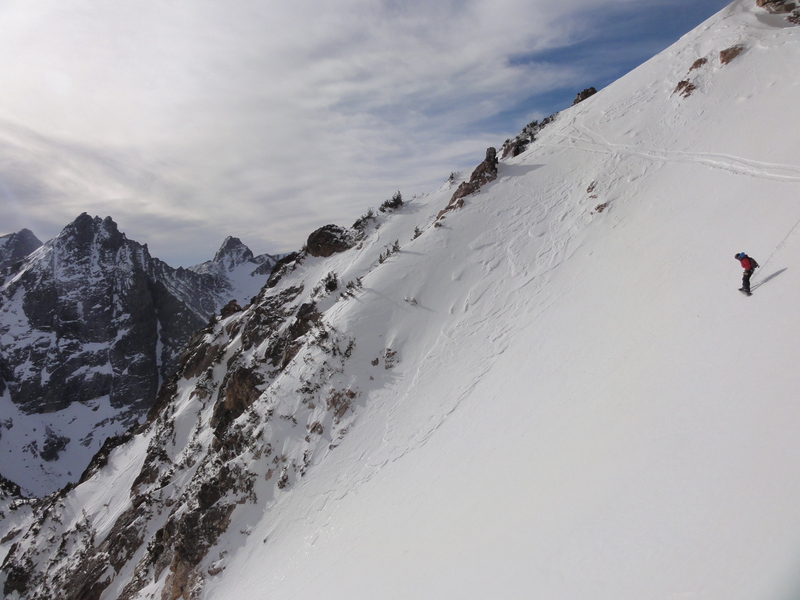 Aaron and Simon pointed out lines for us as we took shelter between some boulders from the battering winds for a few minutes of rest before gaining the col to the top of our line. 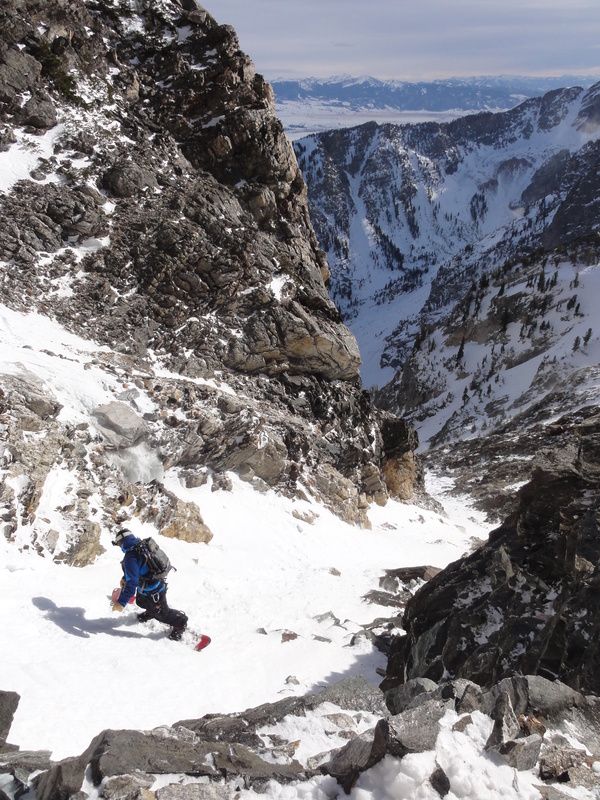 We encountered bulletproof snow as we began gaining the col, forcing us to transition to crampons. 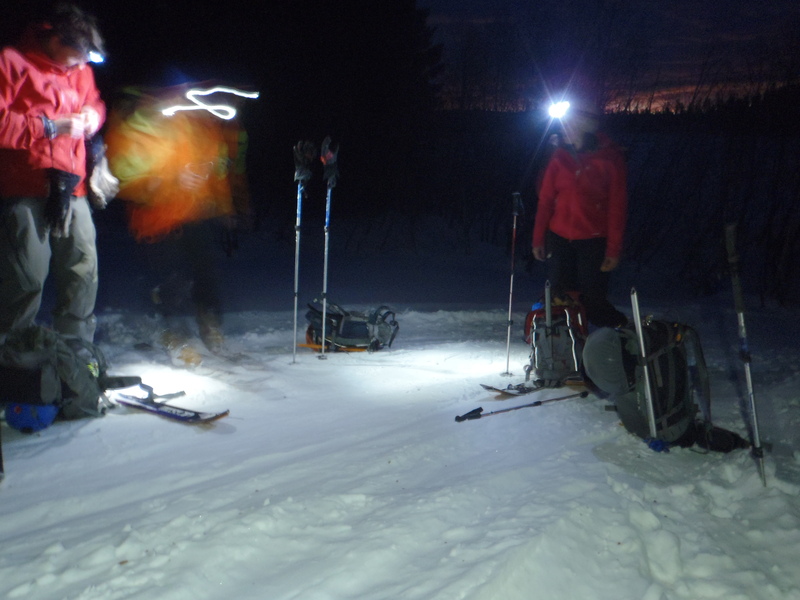 On a short ice section, my crampon decided it wanted to come off not once, but twice. This put me in an interesting position to try to get it back on, since I was on ice. Somehow, I managed to not fall down and eventually met up with everyone waiting for me at the top. The winds were howling. We quickly strapped in and dropped carefully one at a time down the bulletproof slope, dodging rocks and gusts that wanted to blow us over. 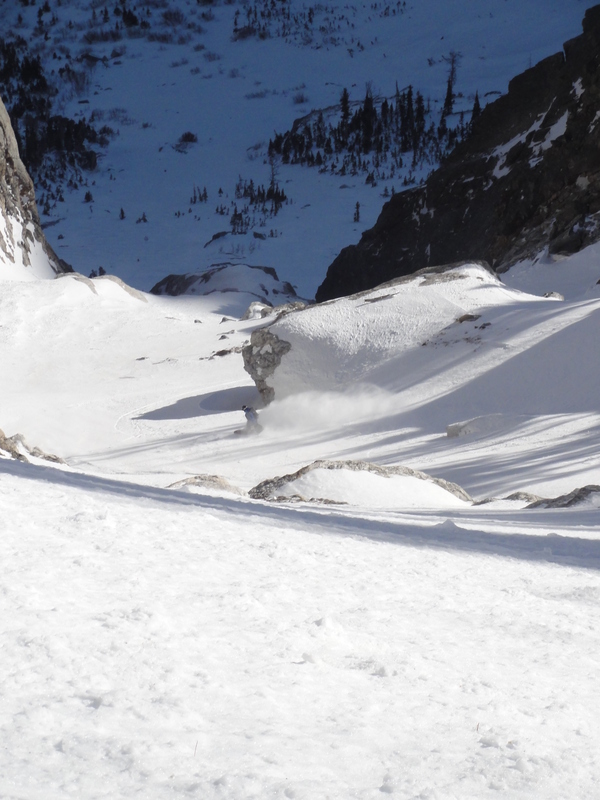 There were times I put myself into a self-arrest position, just to shield myself from the blowing snow and prevent getting blown down the couloir. 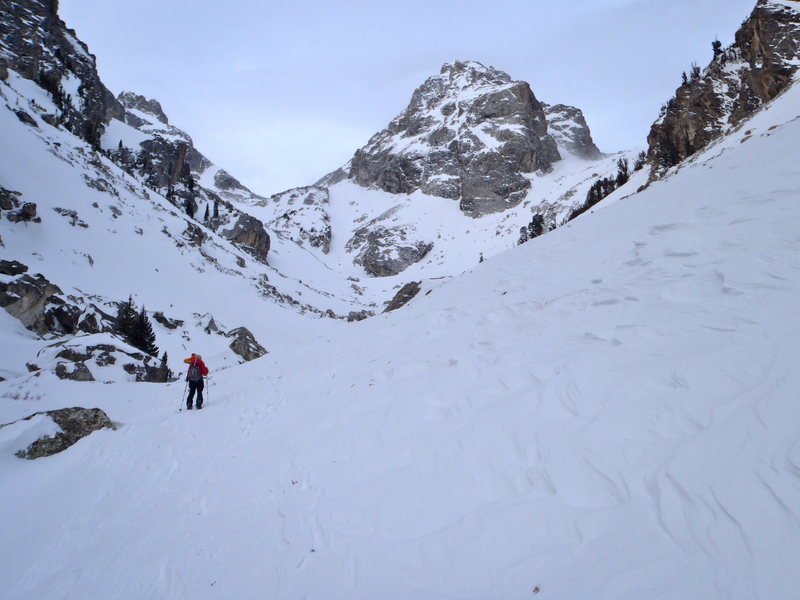 We made our way down, finding slightly softer snow as we descended. 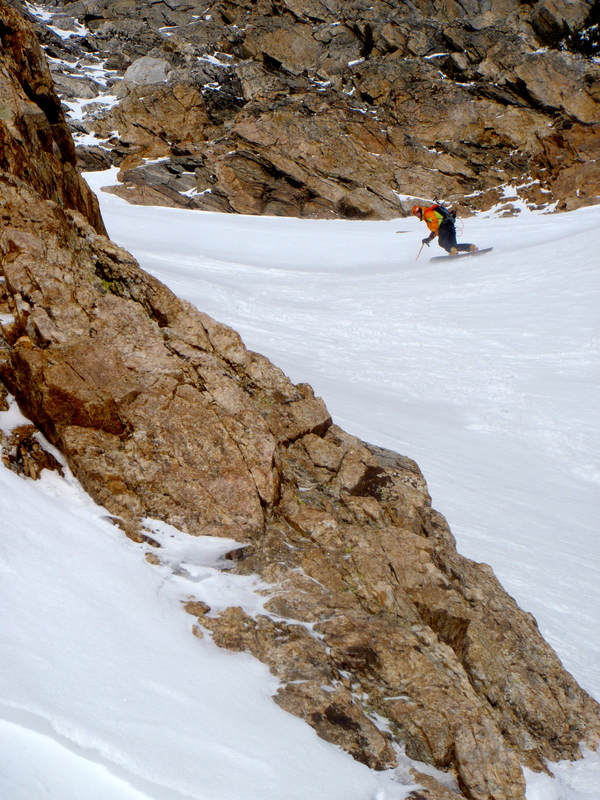 I dropped first into the pencil like part of the couloir and found myself cliffed out. A rock band had split this part of the line into two, and I managed to choose the wrong way. It wasn’t too bad of a situation and I managed to climb back up and over the small rock rib to rejoin Aaron, Simon, and Becca. 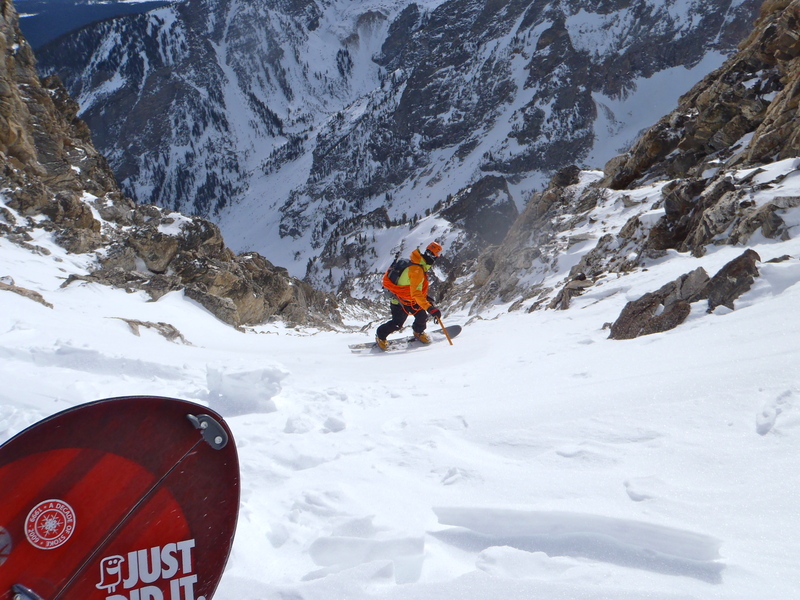 This is where you benefit if you climb the line before you ski it. But with a giant chockstone at the bottom, I don’t think this a viable option on this line. 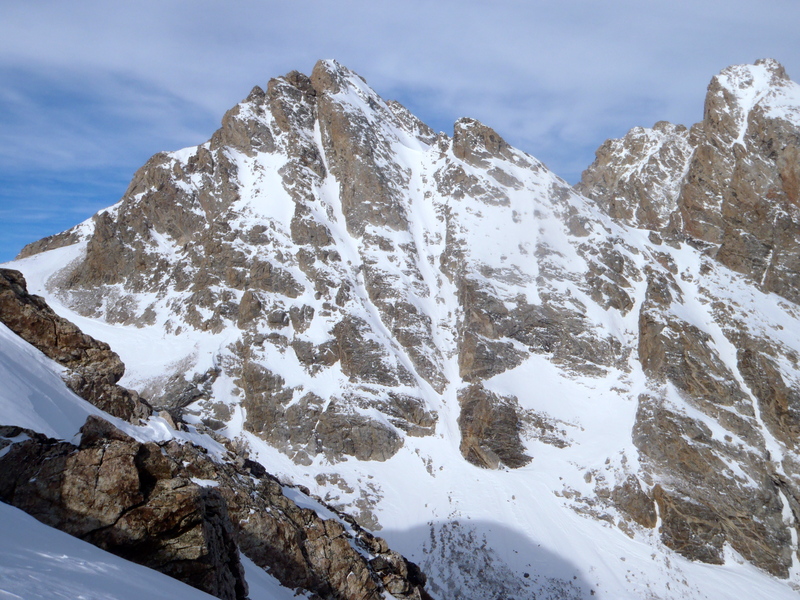 The slope widened and mellowed above the rappel point, allowing us to open up the throttle some. 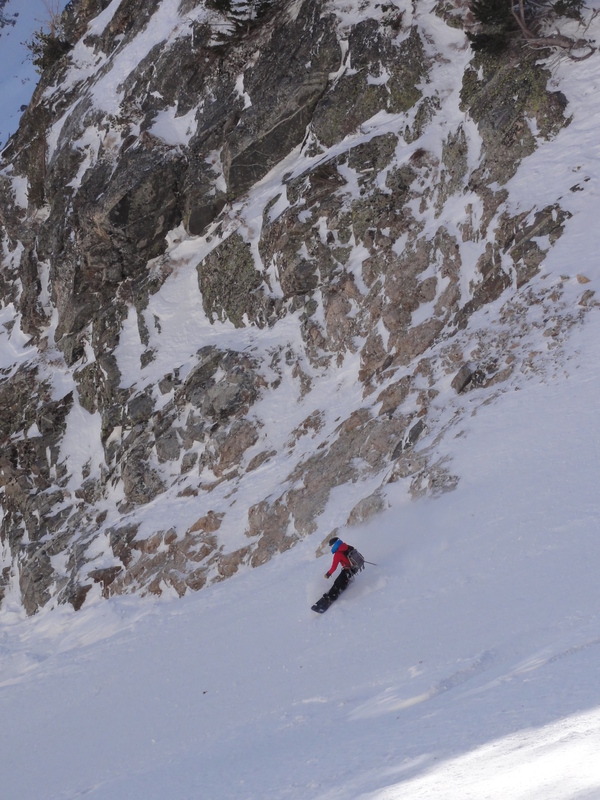 I had to remind myself though that we were skiing dust on crust and I should probably tone it down a notch. The anchor was approximately 10ft off the ground, forcing Aaron to scramble up to attach the rope. In bigger snow years, the anchor would be much lower. The rappel caught me off guard. I think it caught everyone off guard. 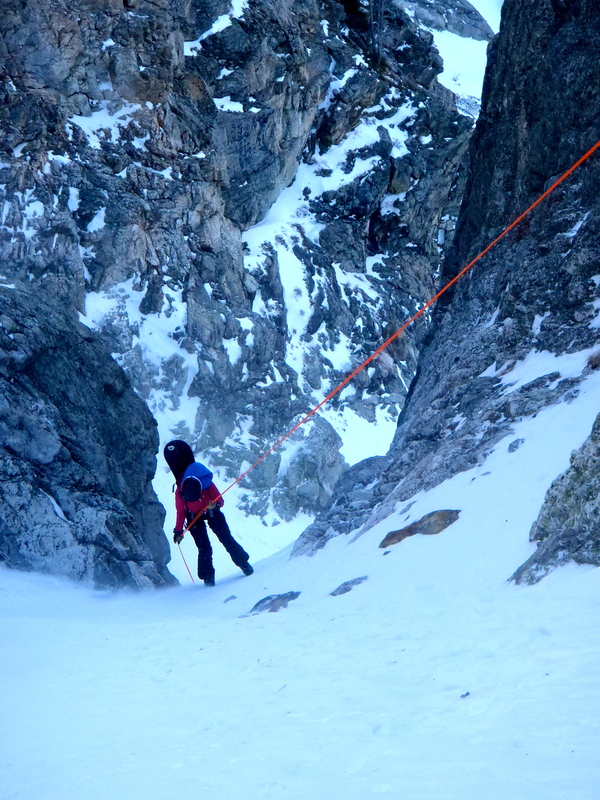 Using a full 70m rope, we were just able to touch snow below the chockstone. No one thought the rappel would be that big, but it was a treat. 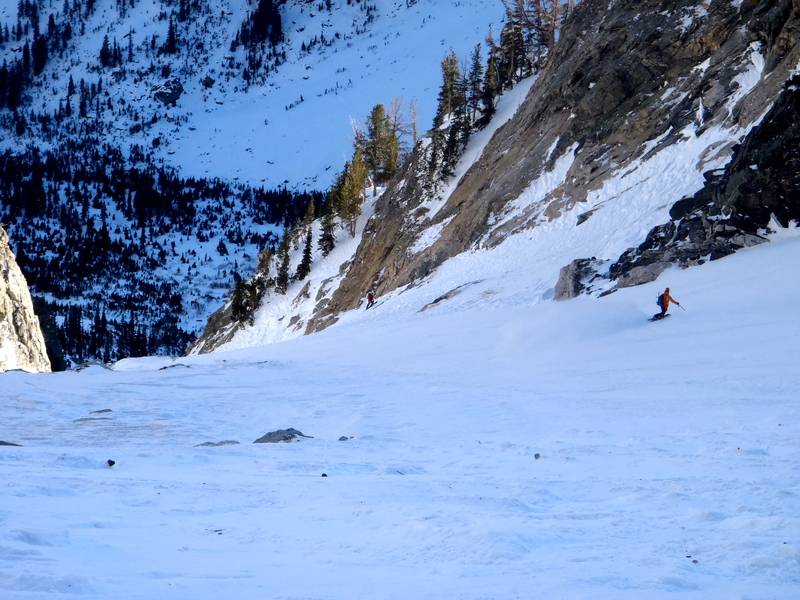 We skied the refrozen corn apron into Avalanche Canyon as the sun was beginning to set. 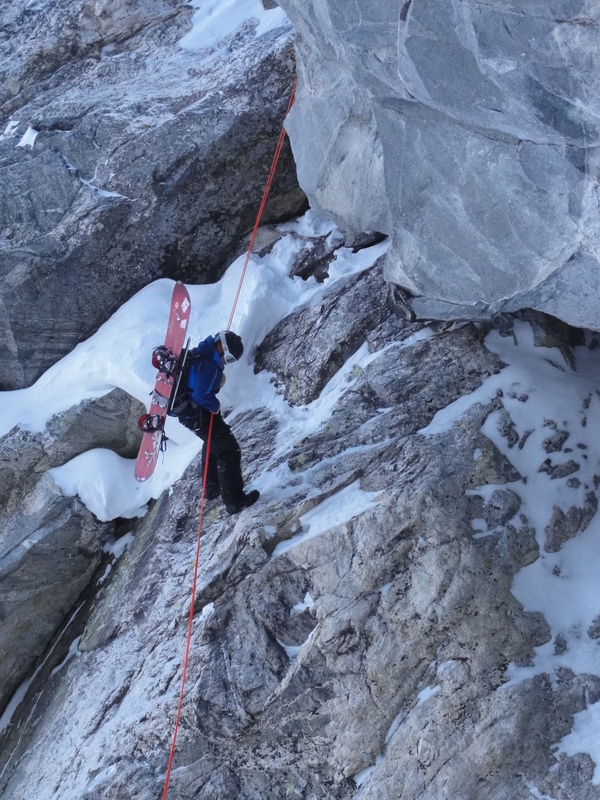 On our way out, Simon busted his binding, but a quick fix using ski straps allowed him to hike out the rest of the way. Tired, cold, and hungry, we reached the car at dark; 12 hours after we had left. It was a long, but rewarding day.